Before you get too excited, I'm only opening this contest up to my Canadian followers! Sorry to everyone else, but I'm planning to do another contest for all my followers in the near future. I'm thinking a MAC lipstick of the winner's choice? Let me know in the comments if that sounds like a good prize to you! 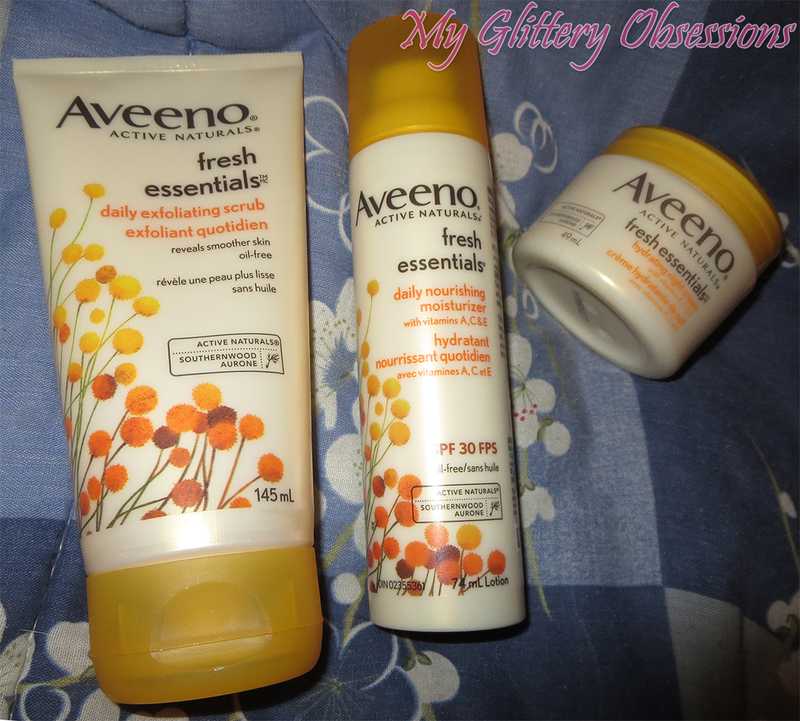 Anyways, that isn't the point of this post, the point is that I'm giving away the same three products from Aveeno's Fresh Essentials skincare line that I reviewed a couple of weeks ago! (Click here to pop over and read that review!) I was sent another set to give away to one of your lucky bugs, so if you are interested, all you need to do is complete the tasks on the rafflecopter form below! be old enough to enter the contest, or have your parents' permission to give me your address if you win! Answer the following question: "What are your winter essentials for looking and feeling fresh?" on Instagram or Twitter with the hashtag #FreshEssentials, tag me (@glitterOCD), and leave me the link to that post. Thanks for following me and for entering the contest! Good luck!